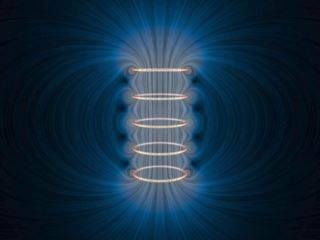 The Power of Forming Chi in Place Changes the Performance of Healing and Energy Abilities. As the old saying goes: “The right tool for the right job”. Blobs, as it turns out, are generally only useful for B grade Sci-Fi and horror movies. Real tools, real forms, are for real applications. How does chi get formed? With the mind – our thoughts are able to mold the bio photons and hold the image of that which we want them to be and as such, affect the outcome through visualization. Our ability to anticipate and expect the behavior of the photons is very similar to the famous Double Slit Experiment – our expectations affect and influence the outcome of the behavior of the photons. The magnetic optical trap, MOT, uses magnetic fields to hold the atoms in place and lasers to cool the temperature of the atoms. Most who have performed the “palm test” have felt the magnetic field between the hands, similar to pointing like poles of a magnet towards each other. As noted in many of our articles, human beings give off electrical signals – hence the reason magnetic scanning and imaging technologies used in hospitals and security systems work. Visualizing the biophotons taking a particular shape creates a laser effect; each line acting as the boundary/outline of the form is in effect a laser. Using the transference techniques taught in the Chi Energy Heals Cultivation Method provides the correct attributes of the energy, thus cooling the temperature of the lasers, and assisting in the development of the form. Visit our School of Chi Energy FAQ to learn more.